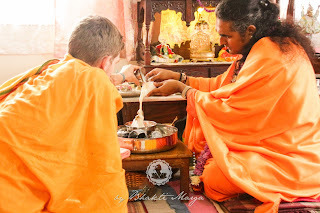 The final two days of the pilgrimage was filled with deep thankfulness and excitement, with the highlight being the Darshan given by Sri Swami Vishwananda on the last day of the trip. On the day of the Darshan, many visitors came to the Jiva Institute with hopes of getting a glimpse of Guruji for the first time. 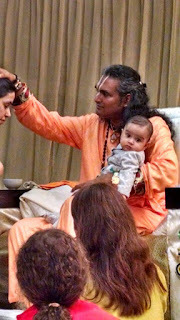 At the beginning of the Darshan, Sri Swami Vishwananda gave a beautiful Satsang, expressing how important it is to have love and respect for each other. After reciting the Gopi Gita, Sathyanarayan Das also gave an inspiring discourse about the supreme Love which the gopis had for Krishna. When Darshan finished, the pilgrimage group had to immediately leave for the airport. 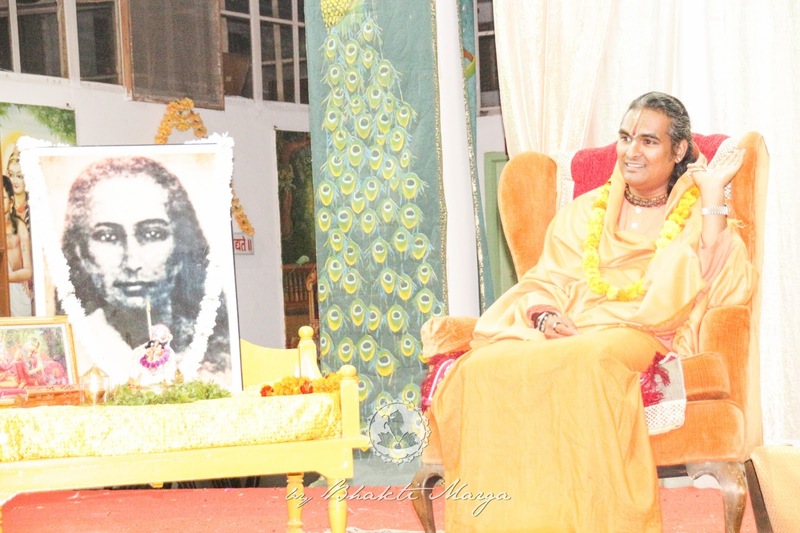 It was a bittersweet experience for most of the participants as they made their way to the airport, as they recounted the 10 amazing days they'd had in the land of Bhakti with Sri Swami Vishwananda. The task of the participants is to now spread the light and Love they received from Guruji and Krishna to the outside world. "The hall was filled with devotees, sadhus and yogis, Godseekers of every kind, Indian families with children, aunties, uncles and grandparents, and the noisy and joyful neighbourhood children reminding us of the Indian traffic with its own rules. Around 400 people came for Darshan which finished exactly at the time our pilgrimage group was supposed to leave for the plane." We hope you enjoyed the “Following the Master” series to Vrindavan. 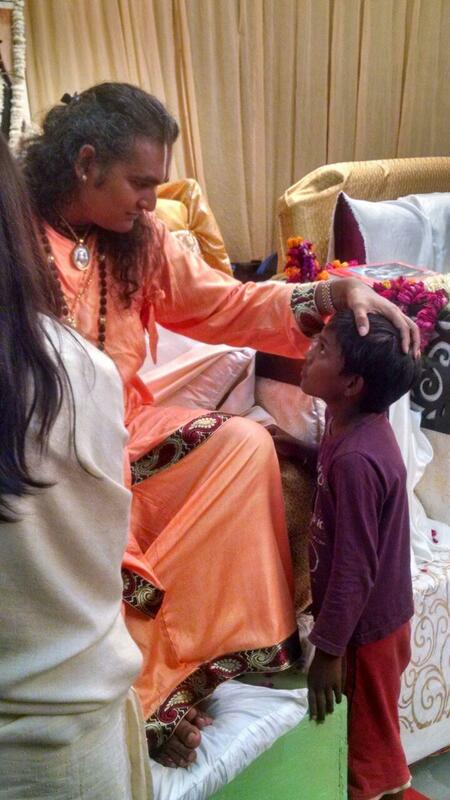 We plan to have many more in the future as Sri Swami Vishwananda travels around the world. If you would like to take part in a Bhakti Marga pilgrimage, please visit our website for future dates and destinations: http://www.bhaktimarga.org/events. We hope to see you soon, either at Shree Peetha Nilaya or on a special trip somewhere in the world with Guruji.